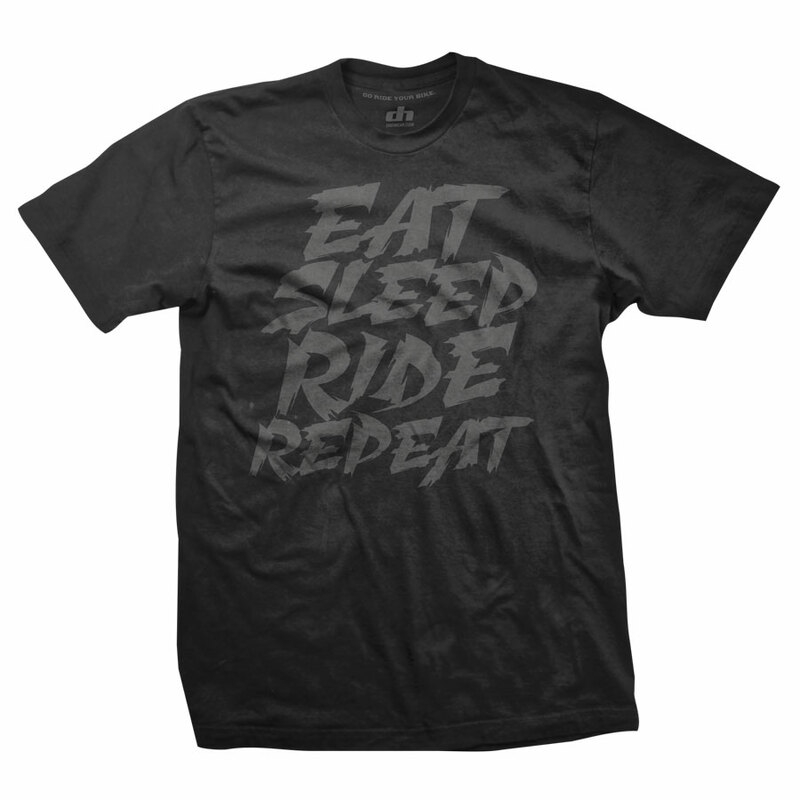 Eat Sleep Ride Repeat. Wise words to live by. This wearable lifestyle inspiration masterpiece is printed on our black shirt with grey graphic. Shirts are 100% soft cotton.